Host the dinner party of your dreams with the space you need in a second kitchen. When you love entertaining and your primary kitchen can no longer handle your big plans (or the big guest list! 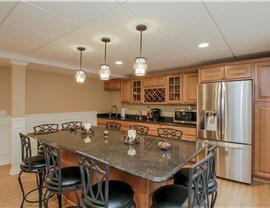 ), it might be time to think about building a kitchen in basement space. Alternatively, if you’re trying to expand options for living space in your home, adding a basement kitchen can be a great way to do so. 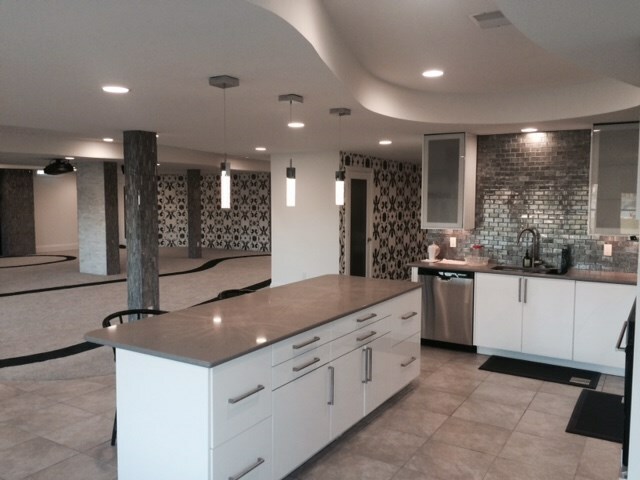 Whether you plan on finishing your basement space or you just want more room to cook up a storm, Matrix Basement Systems has the skill and experience to bring your dreams to life. We’re a one-stop shop for all of your basement finishing needs. 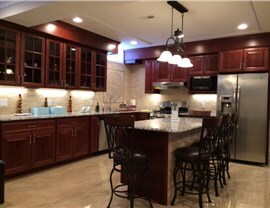 Whether you want a modern kitchen with features like an island and unique cabinets, you want to match your existing kitchen, or anything else, when you choose us, you’re in good hands. 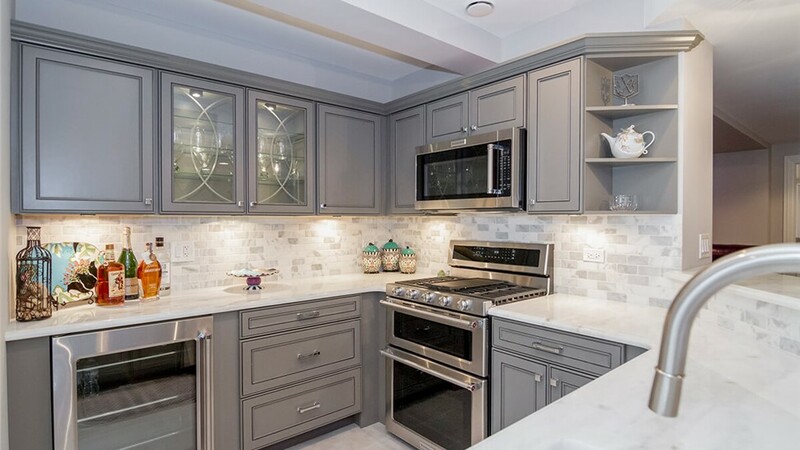 We’re experts at basement kitchen design, and we’ll work with you every step of the way to bring your basement kitchen ideas to life—from your initial design consultation to seamless installation of our eco-friendly products. We’ll help you find out what the best ideas are to maximize your satisfaction with your basement kitchen. We’ve earned many awards over the years for our basement finishing projects, and we’re ready to get to work on your project. With unlimited decor and customization options when you work with Matrix Basement Systems for your basement finishing project, it can seem difficult to predict what the cost will end up being. 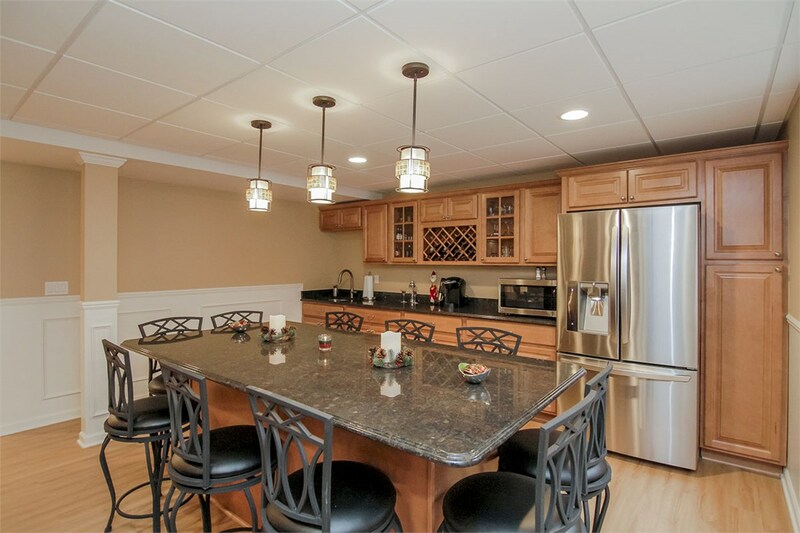 However, we’re proud to say that when it comes to basement kitchen cost and other finished basement services, our solutions typically cost less than half of what the industry average is. 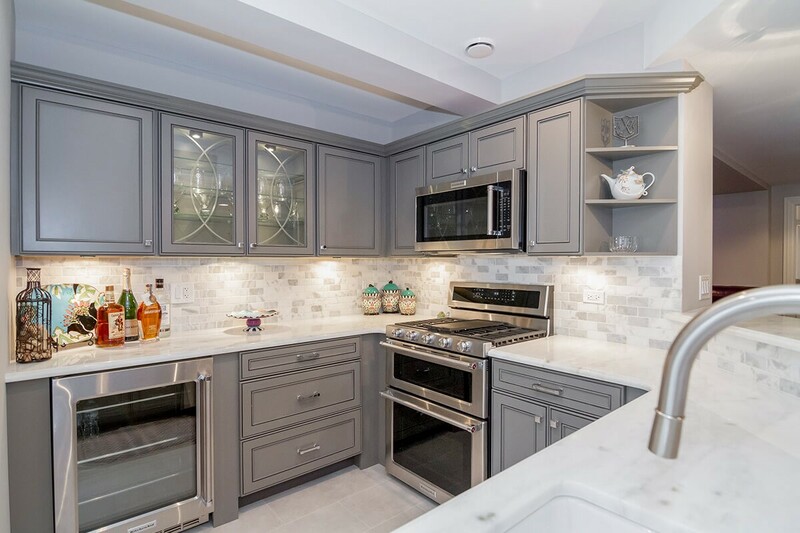 What’s more, a major remodel such as adding a basement kitchen, has an average resale value of 78.2% of its cost — in other words, it’s a great investment when it comes to home improvements. When you’re ready to get started on your kitchen basement installation contact us to learn more about our services. Give us a call or fill out our quick online quote form today to receive your free estimate!